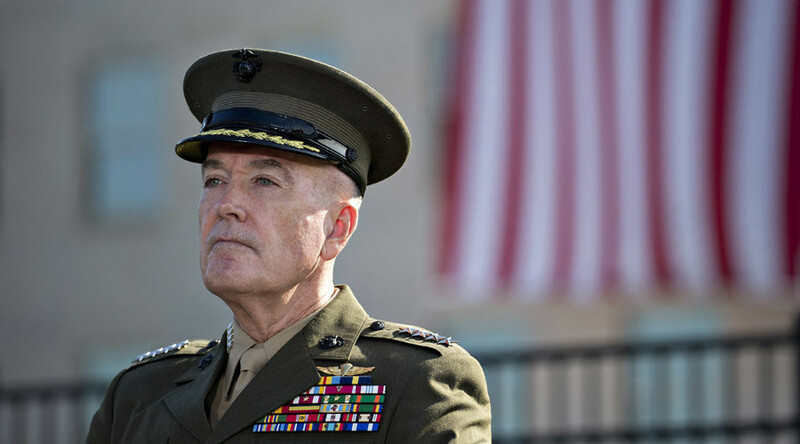 Chairman of the Joint Chiefs of Staff Joseph Dunford told Congress that the US should assume that North Korea already has the capability to attack the US with a nuclear weapon, and plan accordingly. It is the US military’s judgement that it is a matter of a “very short time” before North Korea is able to attack the US, Dunford told Senators of the Armed Services Committee on Tuesday. “We should assume now that they have the capability,” although there are still some technical details that the North is working on, he said, adding that Pyongyang has already demonstrated the willingness to use the weapon. An additional 21 missile interceptors are being deployed to counter the threat from North Korea, as well as “other threats,” on top of 44 already in place, Dunford told Congress. Before carrying out a preemptive attack against North Korea, the general said he would want to have the “full-throated support” of the American people, including Congress. 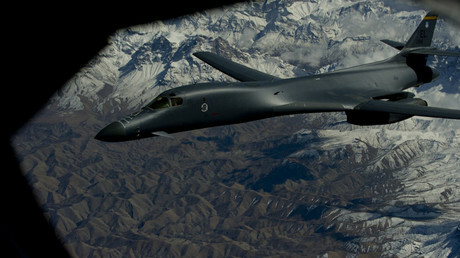 The US has also recently increased intelligence collection from North Korea, according to the army chief. Despite an escalation in rhetoric between the United States and North Korea, Dunford said he has not seen Pyongyang change its military posture. The hearing follows a series of threats of mutual destruction that the US and the North made. Speaking in the Rose Garden at the White House on Tuesday, after meeting with Spanish President Mariano Rajoy, President Trump said Spain had expelled its North Korean ambassador in a move towards isolating Pyongyang, and "it's time for all responsible nations to isolate the North Korean menace." "North Korea should have been handled 25 years ago, 15 years ago, 10 years ago, 5 years ago, many administrations, which left me a mess. I will fix the mess," said Trump. Trump said in addition to the sanctions, "we are totally prepared for the second option...the military option...for devastating North Korea." Last week, Pyongyang threatened to launch a nuclear strike against the US if it attacks the North, after US President Donald Trump threatened to “totally destroy” North Korea if it attacks the US or its allies. The threat came after Trump tweeted that North Korean leader Kim Jong-un “won’t be around much longer. The White House later denied that the US declared war on North Korea. Meanwhile on Tuesday, the US embarked on major military drills with other NATO members in Scotland to practice shooting down nuclear missiles. “North Korean tests have shown the danger of rogue states developing longer-range missiles,” British Defence Secretary Michael Fallon said in a statement. Russia and China have repeatedly called for a ‘double-freeze’ solution to the crisis, in which the United States ceases its drills with South Korea in exchange for the North suspending its weapons programs. “The massive maneuvers staged near the coast of North Korea are apparently meant to taunt the North Korean leader [Kim Jong-un], to provoke him into some sloppy action,” Mikhail Ulyanov, head of the Russian Foreign Ministry’s non-proliferation and arms controls department, said on Tuesday as cited by Interfax.